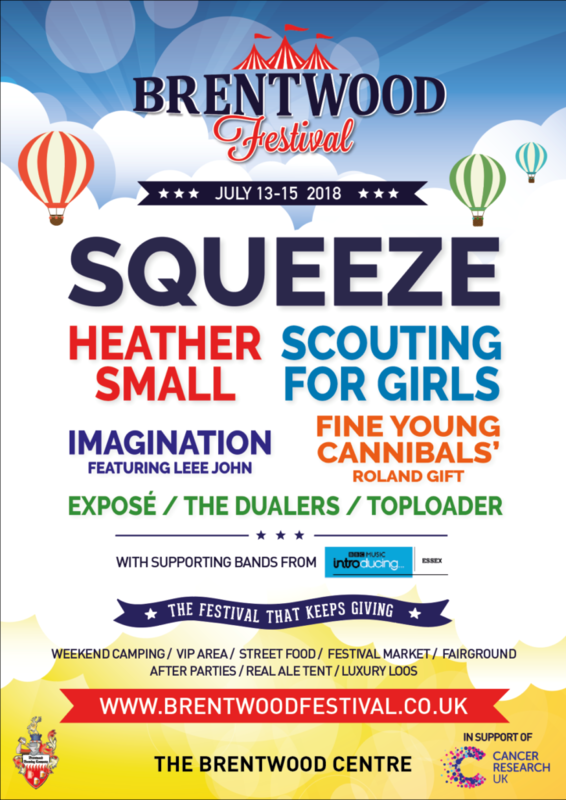 Back for its 8th year, the Brentwood Festival will be a great rewind weekend featuring headliners Squeeze, Scouting For Girls, Toploader, Heather Small of M People, Imagination featuring Leee John, Fine Young Cannibals’ Roland Gift, The Dualers and Exposé! The festival also features a real ale and cider tent sponsored by the Brentwood Brewing Company, street food, festival market, overnight camping, VIP area, posh loos, and fun fair. Day passes, weekend passes and overnight camping available via www.brentwoodfestival.co.uk. The 2018 Brentwood Festival is held in aid of Cancer Research UK.